It was in Maine that refugee Brenda Viola found her voice. Now she’s using it to uplift others in her community. 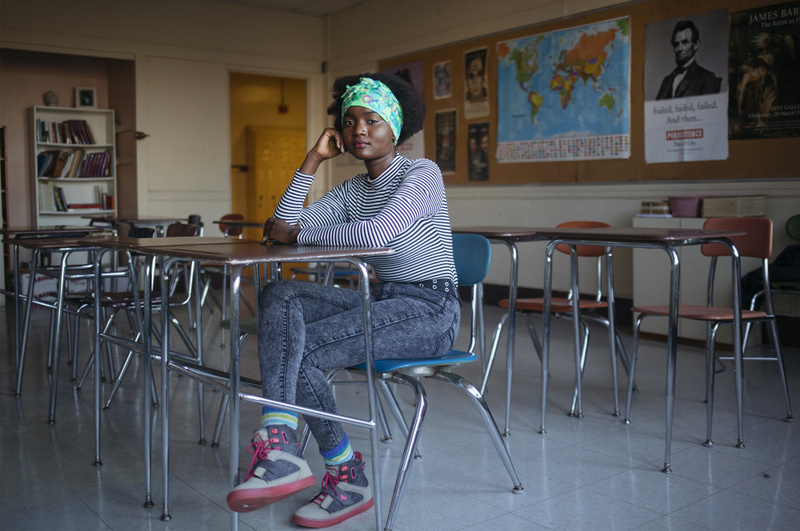 The 17-year-old Deering High School senior came to Maine five years ago after spending much of her young life in a Kenyan refugee camp after fleeing violence in her native South Sudan. Maine was strange and different, and she said she didn’t say much of anything to anyone. “I was so isolated. I didn’t have anyone to talk to,” said Viola. But as she studied and learned English, made friends and became enmeshed in Portland life, she got more and more involved in the community. Today, she’s committed to making the immigrant experience easier for others, by telling her story and getting involved in a half-dozen activities to make connections and help others. “A lot of kids come from other countries, they’re not connected, and when you come here it’s a different culture,” she said. “I’m trying to change that. I want everyone, when they come here, to feel connected. But telling people about her own life, explaining what many immigrant children go through, is about connecting the listeners to the immigrants who are not yet able to tell their stories. And it’s about healing herself, too. In addition to speaking at conferences, she sings out her story about the immigrant experience with Pihcintu, a group of multilingual choral students who create original works and perform in Maine and Washington, D.C.
She also tutors students in reading one-on-one at Riverton Elementary School. In the wider community, she created her own project interviewing homeless people at the Portland soup kitchen about their lives, and she volunteers with Maine People’s Alliance on a civic engagement project about civil rights and voter registration. As she looks to the future, she plans to go to college – somewhere in Maine, she hopes – and become a doctor. She’s already involved in Maine Medical Explorers, which introduces high school students to the health professions. “When I came here to America, I had help to get here,” she said, explaining why she got involved with so many groups.